Kindle Edition versions of the book are also available through Amazon for $.99. The Kindle version can be read on Amazon Kindle devices, most smart phones, or on any PC or Mac with the free Kindle app. Note: We will only use your address for the purpose of sending you the free book. We will never share your address information with any third parties, or otherwise share or sell this information. Meet Dave, FBR founder, a missionary kid who became a soldier until he felt God calling him to seminary and the mission field. His step-by-step journey uniquely prepares him to finally follow God’s call into the jungles of Burma, to help and tell the story of those standing against the Burma Army’s oppression.Meet Karen, who would become Dave’s companion when her plans to become a special education teacher were redirected in a new calling to missions, as Dave’s wife. Read how she followed God’s call through a door that opened first onto adventures with Dave climbing mountains, followed by tramping through the jungles of Wa State and on into war zones, eventually accompanied by their three children. Eliya, a young Karen medic and soldier, son of a pastor but a fighter born, with a family of his own, teams up with Dave and becomes the first Karen Ranger. Eliya’s booming laugh, dauntless courage and utter competency make him one of the pillars of the growing movement to help those under attack in their homes. Sai Nawng is Shan, born a Buddhist, and on the hunt for wealth. Riches continually slip through his grasp and he joins the resistance, to fight for freedom. 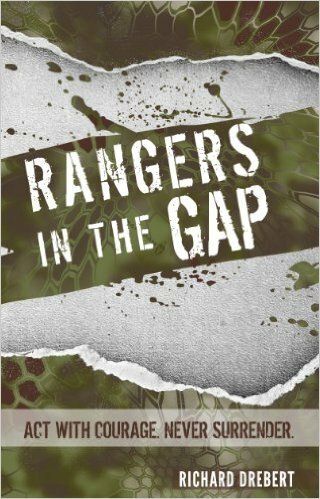 From there he joins the Rangers – and finds a new kind of freedom as he joins teams to help others. Doh Say is a passionate, talented Karenni man who has always fought for the dignity of his family and his people. He starts by working to help his family climb out of poverty and is then drawn to the resistance and fights for freedom for his people. Finally he is pulled into politics and becomes one of the leaders. But he follows God’s call to “look to the children,” and becomes the leader of the Good Life Club. “Monkey” or Kaw Pa Say, was an atheist who found FBR by testing God. “God, if you are real, then do….” – every challenge led to a new opportunity. Monkey is now FBR pastor, videographer and deputy director. Saw Sun, born on the run, the son of a Karen soldier and a teacher, remembers running from the Burma Army with his mother weighted down by the school books she would carry every time they had to flee. His officer father and teacher mother taught him duty, honor and excellence and he joined the rangers seeking “another way” to fight the Burma Army – through help, hope and love.